Cream Event in LA! Yeah! 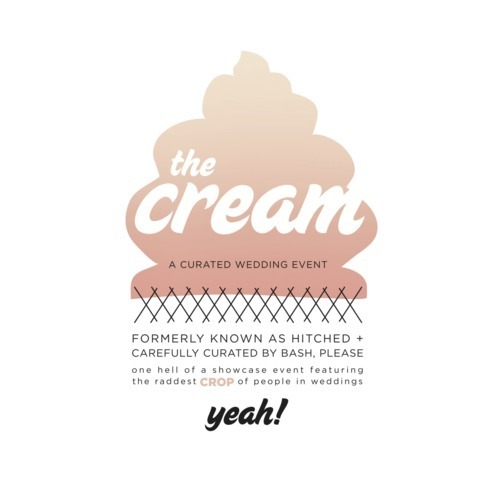 I’m super excited to share The Wedding Artists Collective has been invited to be a part of this year’s Cream Event being held in LA March 1st. For those of you who don’t know, the Cream Event is hosted by the lovely and ever so talented ladies of Bash Please. It is basically just a fun, well curated, stylish party for brides who are interested in seeing the work of some of the best vendors around. Needless to say we’re psyched to be included! Please come by and see us to get in on some free give-away’s and deep discounts! You can buy tickets here.